Held on Sunday mornings throughout the year, these are 2 or 3 hour score orienteering events on a bike, located primarily in the Surrey Hills (with the odd excursion to the Chilterns or South Downs). Events are run by London & South East Adventure Racers in affiliation with SLOW. 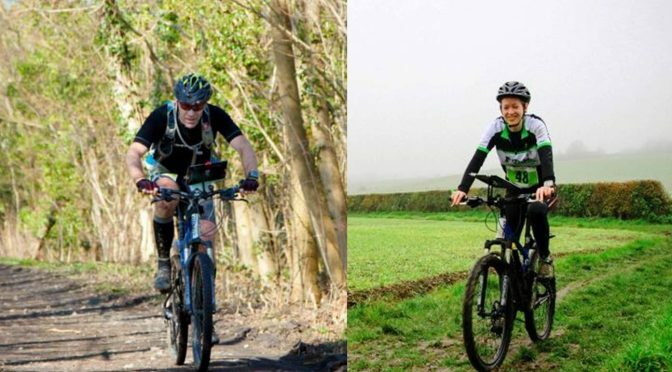 Who are London & South East Adventure Racers? We are a local community with a shared interest in multi-sport racing. While our focus is adventure racing, our members participate in everything from mountain marathons, trail running, kayaking, mountain bike and foot orienteering, climbing, sportives and more. What is a MBO Score Event? MBO Score is a fun and exciting form of orienteering on bikes. Unlike MTBO which uses specialist maps, MBO Score uses regular 1:25,000 scale Ordnance Survey maps which are more familiar to most people. Primarily off-road events, a mountain bike is the preferred choice, however hybrids and cross-bikes can also be used. Depending on the event, between 2 and 7 hours are allowed to visit as many control sites as possible in order to maximise the points total, making route choice and navigational skills a high priority. Events are open to all abilities and ages and riders can enter as either solo or pairs. Events are held in various locations around the Southeast where sufficient space and interesting terrain is on offer. Event venues will usually be a pub or sports centre. Competitors are given a pre-printed 1:25,000 Ordnance Survey map with around 24 control points of varying point value positioned on bridleways, byways or forestry trails. How do I find a Teammate? While you are welcome to race solo, we encourage pairs as a way of developing the sport and meeting new people. If you are looking for a teammate you can post on our Facebook group or on the SLOW Facebook page. BMBO event rules can be found here.